Although limited by its short deployment distance due to its massive power consumption, the Charon has become the premier fast response skimmer for PMCs around the globe. 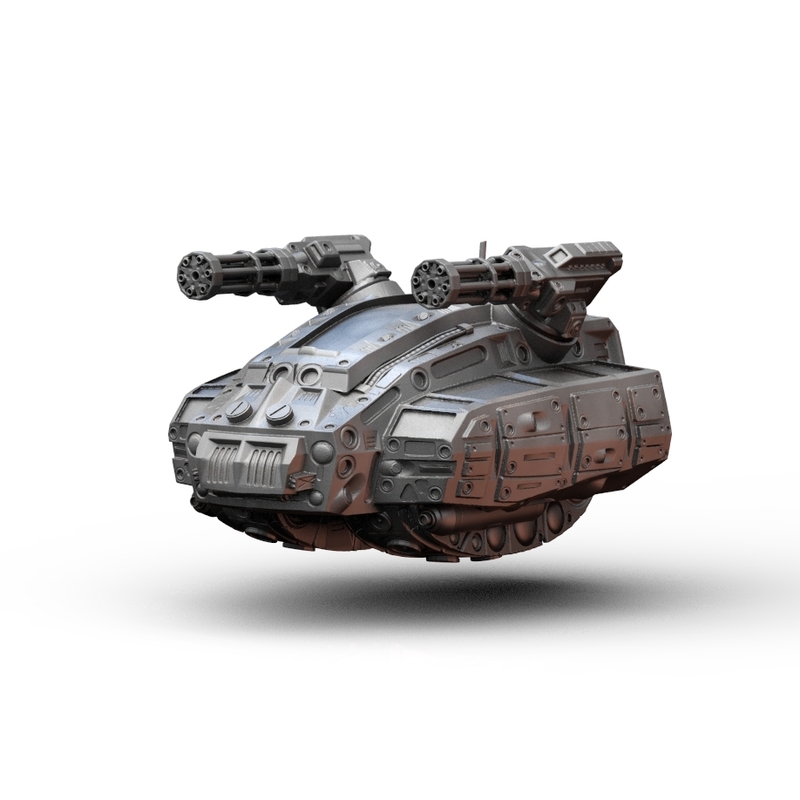 Capable of holding its crew and infantry team comfortably within its densely armored plating, the Charon can quickly insert boots on the ground and provide effective cover fire in the process. The Charon is capable of being quickly outfitted with anti-infantry machine guns or anti-armor missile pods, thanks to its modular design. 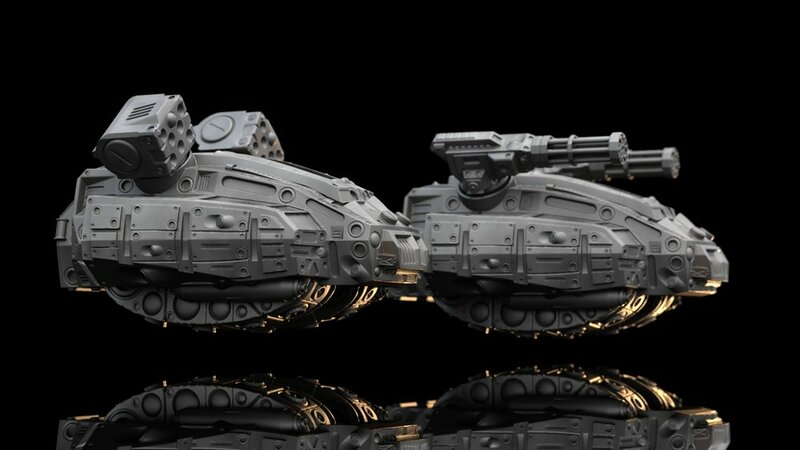 Although ammunition is a concern, the Charon is able to rotate its weapons 180° so that it may continue to lay down covering fire even as it exits a battlefield.